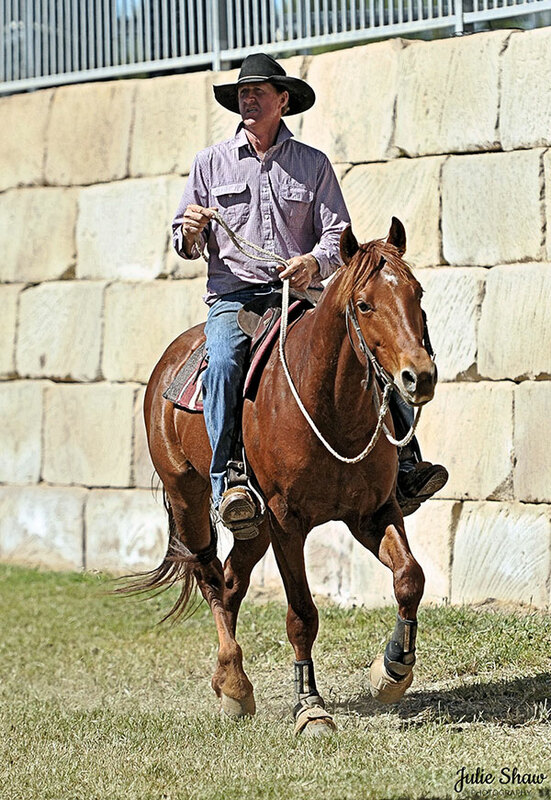 Known Fact: Great horses come from a great mare line. Photo by Melissa Salmond. Roma One & Pete O'Neill, Clermont 2017. 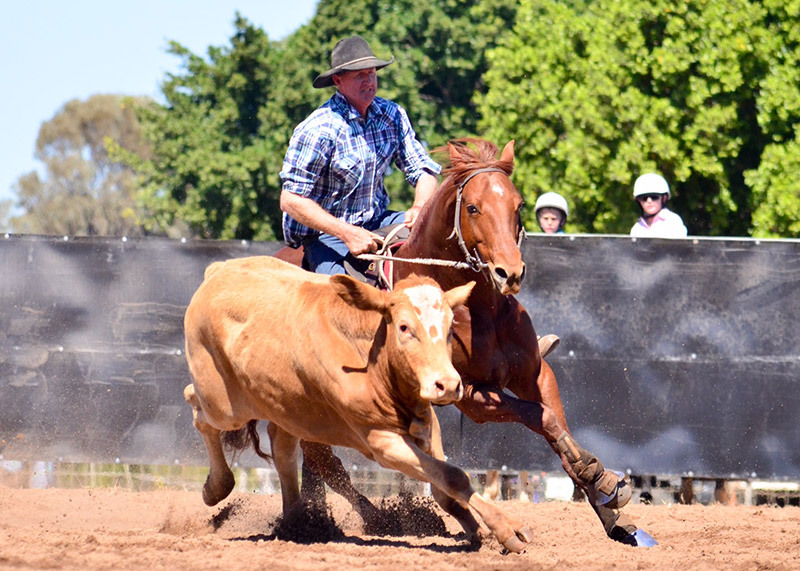 Roma One’s conformation and attitude have shown him to be a real prospect to become a top campdrafter and the campdraft community is watching him with anticipation. 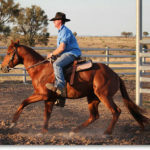 $1,100 inc GST + Vet + Agist. 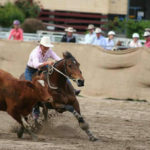 $250 deductable, non refundable Booking Fee. 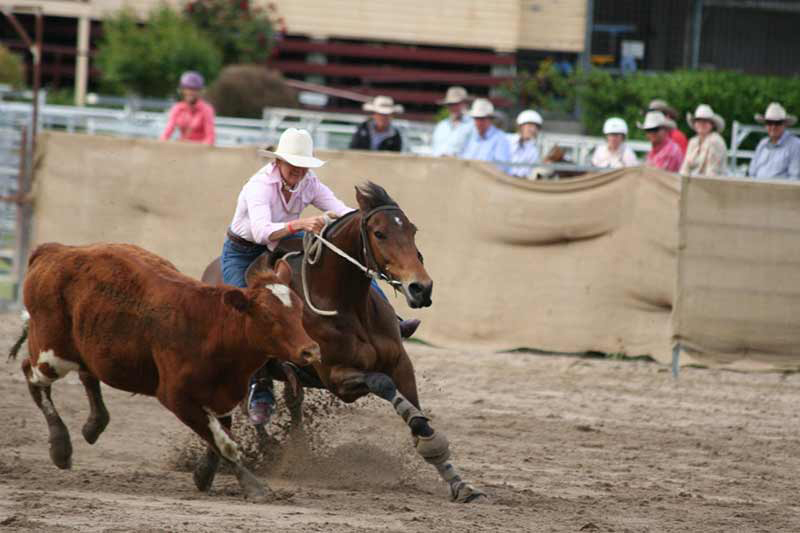 Photo by Kate Jones. 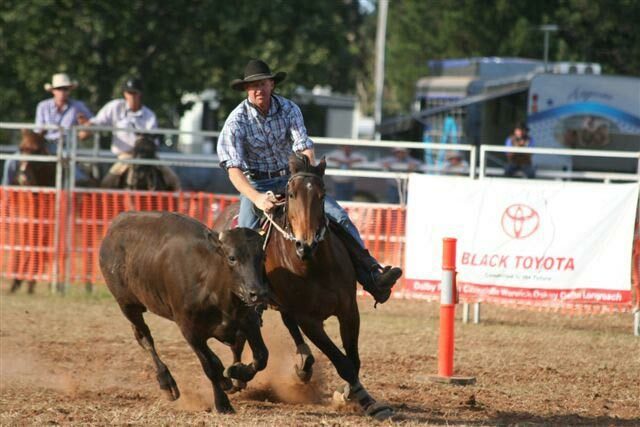 Peter winning 2014 Warwick Gold Cup. 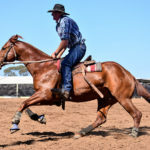 Peter and Toni O’Neill are genuine Campdraft competitors that are involved in the sport because it is the sport they love and the lifestyle they enjoy. 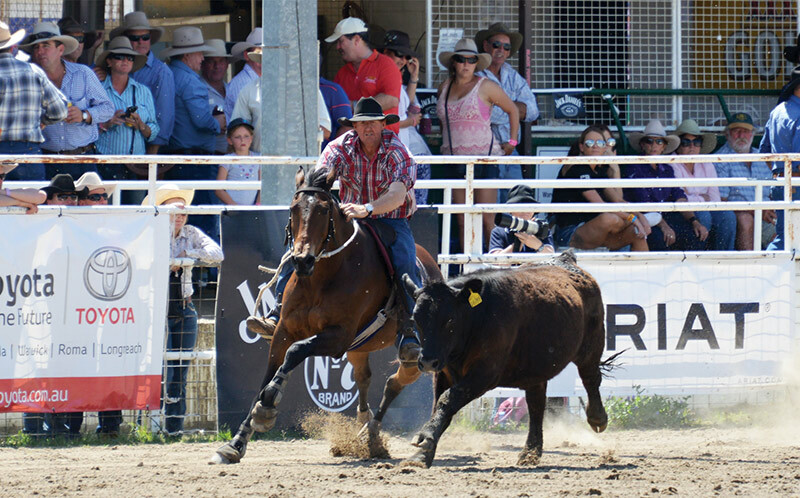 Family, friends, horses, cattle, winning, losing, good cattle, bad cattle, dust and mud. 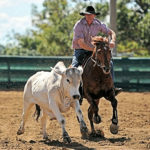 Peter and Toni attend drafts throughout the country because of their genuine passion for everything that is campdrafting. 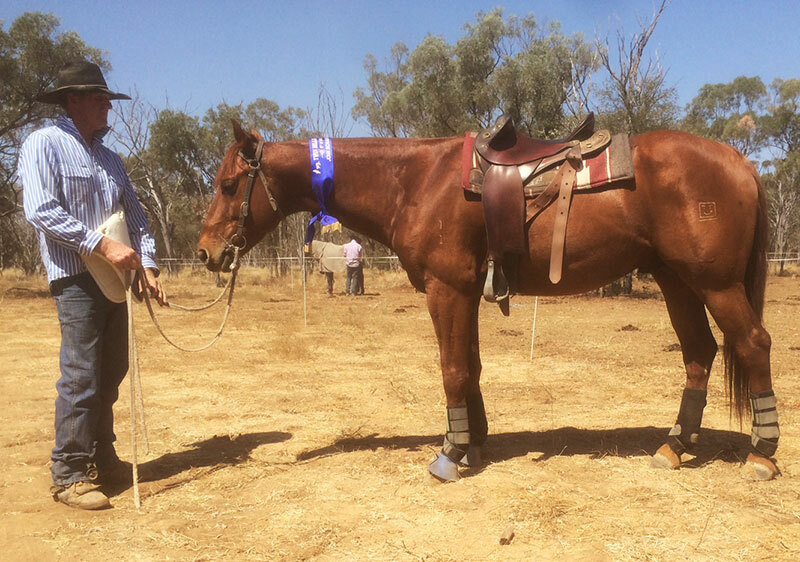 They have always travelled with a team of successful horses including recently retired Eddy and back in Pete & Toni’s teenage years X-Ray and Hope, but when the family started campaigning Roma they knew they had a genuine champion aboard. 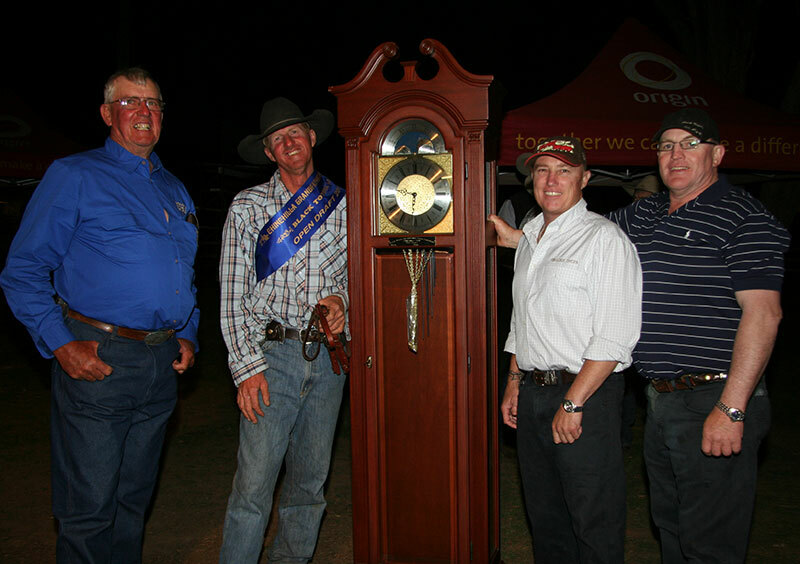 October 2011 saw big wins for Roma with Pete winning the Chinchilla Grandfather Clock and Toni winning the Ladies Silver Cup at Warwick the following week. Then in 2014 Pete and Roma claimed the ultimate prize, the Warwick Gold Cup. 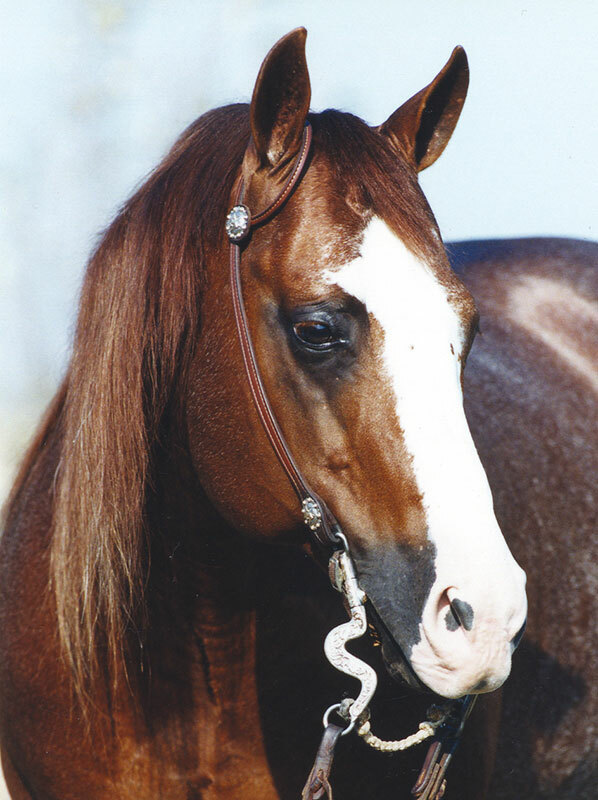 Roma (Pechey Stud Sensation) was bred by Pete and Toni’s good friends, Brett and Joy Pechey. 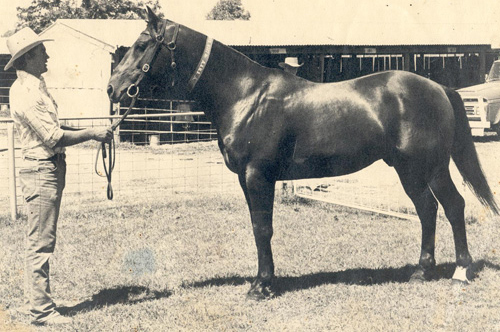 She was broken in by Barry Southern and was then sent to Pete for preparation for the Dalby sale as a 2 year old. 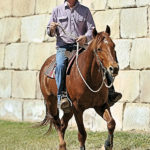 After several rides Pete made the phone call to Brett and said, “Don’t sell this mare”. She has stayed with the O’Neills ever since. 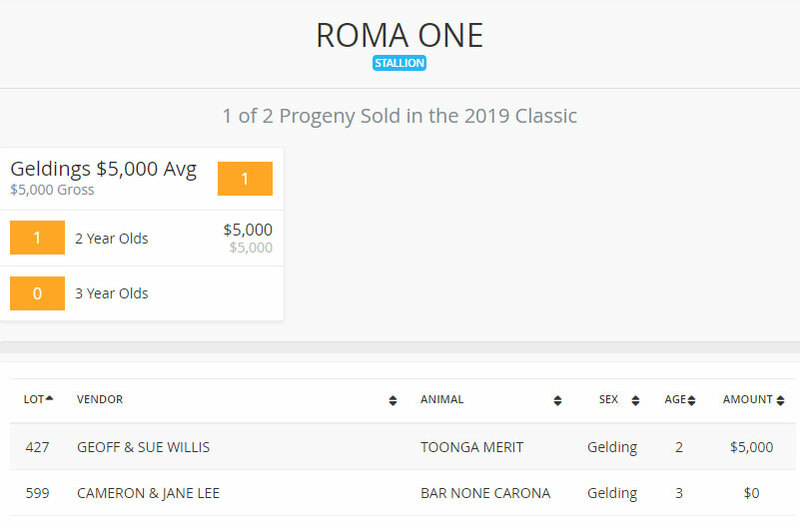 Similar to all exceptional mares, Pete and Toni decided to breed from Roma early and Millionnic Chic was chosen as the sire after a recommendation from Jay Pearce, who had been mustering on Millionnic Chic at Bollon for Hugh Miles. 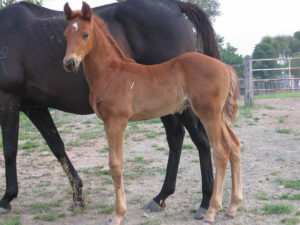 In October 2011, the week before Roma won the Grandfather Clock, Roma One was born to a surrogate mare. 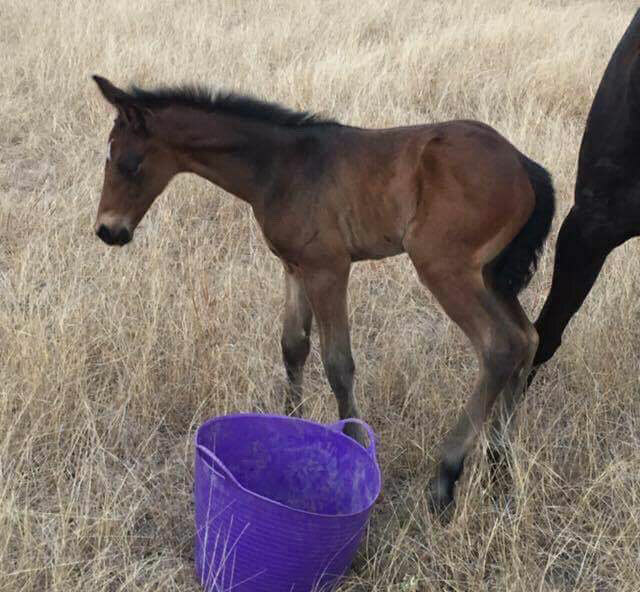 Roma One, only one month old. With champion genetics on both sides, the chestnut colt was always going to be given the opportunity to be a future sire and at birth he had that “look at me” quality. 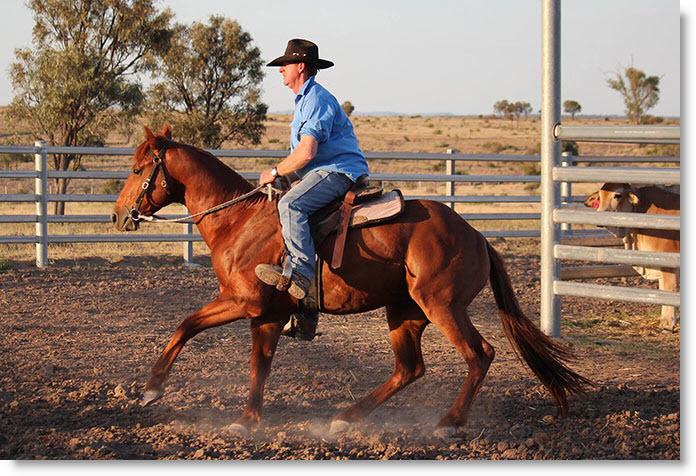 He was broken in by Pete as a 2.y.o and has been brought along slowly with a traditional cattle station education. Lots of work in short spells and then rested before the next session and in true Pete O’Neill style, not a lot of stress. 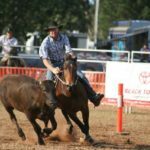 His conformation and attitude have shown him to be a real prospect to become a top campdrafter and the campdraft community is watching him with anticipation. 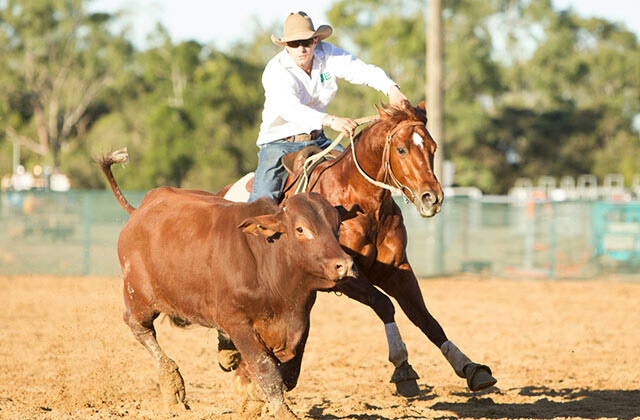 His short career have included a couple of pleasing starts in Futurity events. Watch his first start. 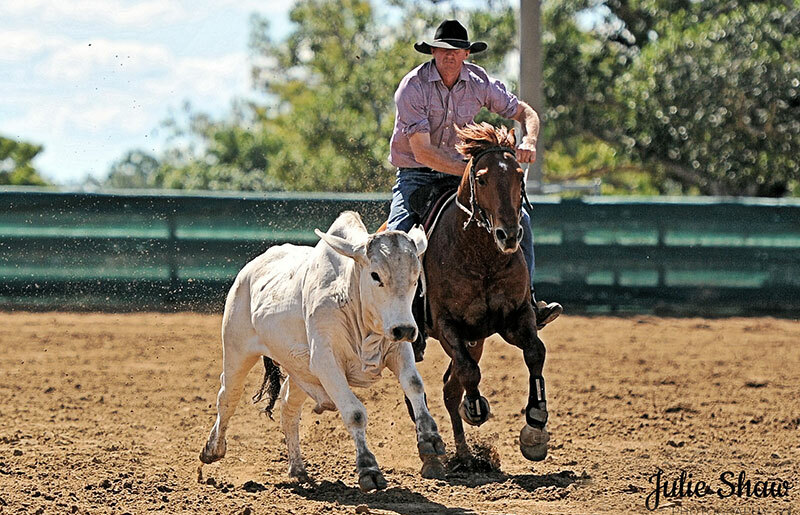 Roma Ones first start at Clark Creek in the futurity Campdraft! 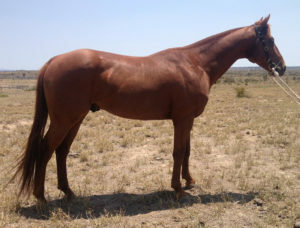 Paternal Grand Sire: Smart Chick O Lena. 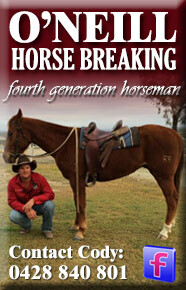 Clicking on the sire’s pedigree will lead to the horse’s listing on the Australian Quarter Horse Stud Book register. 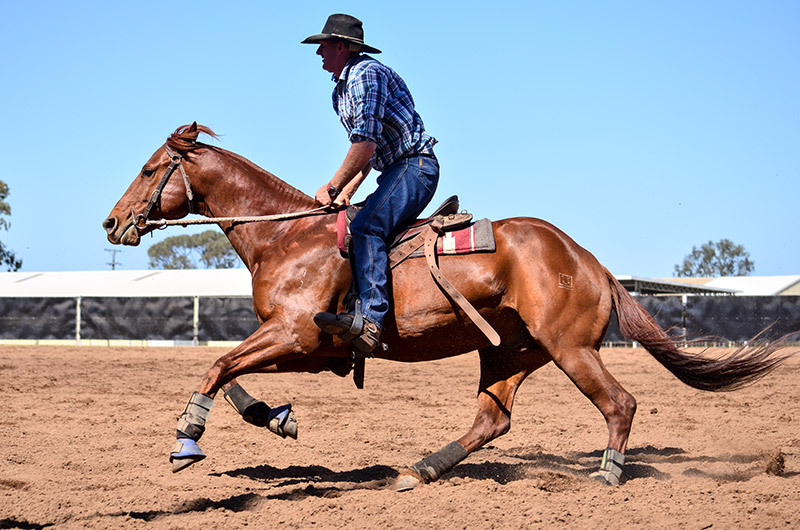 Clicking on the dam’s pedigree will lead to the horse’s listing on the Australian Stock Horse Stud Book register.